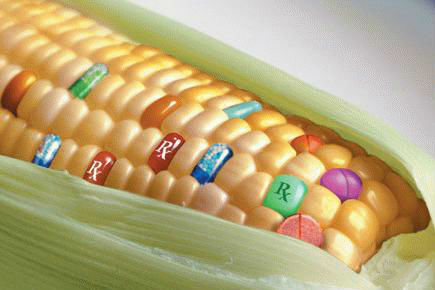 GMO’s: Frankenfood or Better Living Through Chemistry? 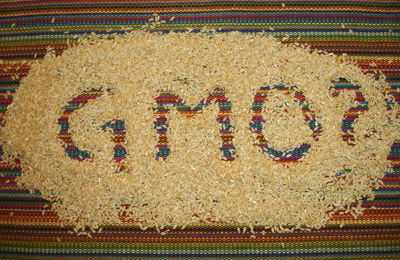 GMO’s are a touchy topic, mostly because of the affiliations of the people who do the arguing. People who have a say in the issue are usually locavores/environmentalists/foodies who place a lot of importance on food purity or people who like to defend industry and markets. An ideological bloodbath usually ensues whenever they get down and dirty. So where does the truth lie? This might be an unpopular opinion, but I think people who are skeptical of GMO’s are more or less in the wrong. The opposition to GMO’s suffers from a poor understanding of what the technology is and isn’t, their economic benefits and the problems facing the global food supply. They employ a biased risk assessment of GMO’s that’s alarmist and mixes up some enemies. Eating transgenic food need not interfere with an approach to food that’s healthy and natural if one chooses. For anyone who’s researched the topic, the arguments for and against GMO’s generally fall into two camps with a particular story to tell. Genetically Modified Organisms undermine the most basic tenets of sustainable agriculture and represent a severe threat to the global food supply. Their long term risks are unclear, they’re the proprietary products of global agribusiness companies that don’t give a damn about the general population, and their prevalence means mankind may be permanently separated from the food we were meant to eat. If you want a daily brief on the going-ons of GMO’s just head over to the front page of the Natural News and you’ll get more than enough stories about the corporate empire that’s being built by the agricultural industrial complex of Monsanto, the FDA, DuPont, etc. Needless to say, they’re hardly bashful in stating their opinions. World hunger is a serious problem and technology that can improve crop yields and lower the use of pesticides is an important part of the solution. The use of transgenics in creating new seed varieties has increased food security, lowered food prices and needs to be exploited to ensure the continual access of mankind to nutritious foods and an adequate supply of calories. Let’s examine the validity of these two narratives and the relative merits of both. For the sake of clarity, let’s settle on a few definitions. A GMO is a genetically modified organism. What it means is that in a lab somewhere a small sequence of DNA was inserted into the genome of a seed or crop species via a “gene gun” or helper bacteria that allows the new hybrid plant to have some characteristic not present in the native plant. The actual term used in scientific literature is a “transgenic” organism. It doesn’t spike the mood affiliations quite like the term “GMO”. Organisms and seeds cultivated through transgenic methods tend to have higher levels of a particular nutrient, are more stable in certain weather conditions, need less fertilizer to grow, require less pesticide use, or some other characteristic deemed desirable. Depending on your side, this technology either represents a technological solution to the serious problem of world hunger and agricultural productivity or a haughty attempt to play god and permanently mess up one of the most basic necessities of life: our food. Despite claims to the contrary, there’s little evidence that suggests GMO foods are particularly harmful to the human population. While different regulatory agencies have differed on the need to label GMO foods, the majority of studies done in the US and abroad have generally come to the same conclusion: GMO foods are as safe or moreso than plants derived from conventional agriculture. The FDA, USDA, National Institute of Health, and American Medical Association have all independently come to the conclusion that foods derived from transgenic methods are not particularly more dangerous than others. That doesn’t mean that the products of GE derived crops couldn’t be dangerous, but that the process through which genes are mixed isn’t significantly different than what happens in nature to pose substantial risks. 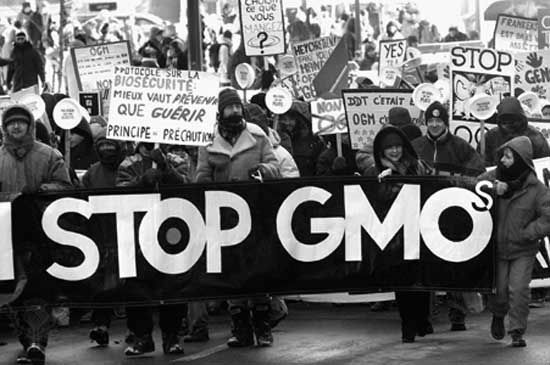 what’s the psychology behind opposition to GMO’s? Why Do People Hate GMO’s? I think it’s important to touch on each one of these in detail. One of the most robust findings in behavioral psychology is that people are risk averse. They dislike losses more than they like gains. It’s deeply rooted for evolutionary reasons, and you can see it manifest itself in a variety of ways. The technology of transgenics in some ways means we’re imposing outside shocks to dynamic systems, which creates an underbelly of risk exposure that we can’t predict, no matter how many scientific studies we might have that say “yeah, GMO’s seem to be fine.” It makes us queasy. people assess risk using narratives, and typically lump the riskiness of something into two categories: safe or unsafe. It’s more appropriate to use probability distributions. If you combine these two observations then you could predict that most people would be particularly sensitive to potential downsides of GMO’s and refuse their use until they’ve been proven “completely safe”…..which is an impossibility for anything. I think this is more or less what you get. And these accusations don’t take into account the fact that GMO’s already are regulated across the world and only get released into the market after undergoing a variety of safety tests which are generally more stringent than those for non-GMO foods. So the argument for increased scrutiny of GMO’s means doing that moreso than is already the case. And if the world’s most reputed organizations have put their reputation on the line by saying that the process of transgenics is no more or less unsafe than other methods……then why should that be endorsed? Keep in mind that safety has a very real cost and needs to be compared to other ends. At some margin a preference for certainty and the familiar becomes irrational. In the book the Righteous Mind, Jonathan Haidt discusses the six loci of human morality: care/harm, authority/subversion, divinity/impurity, liberty/oppression, loyalty/betrayal, and fairness/cheating. Many people associate the movements of big Ag companies with a violation of the fairness/cheating and the liberty/oppression loci, and many people make moral arguments for environmentalism that center around the divinity/impurity loci. It’s probably not a coincidence that people who are most skeptical of GMO’s also tend to heavily favor organic food and identify as environmentalists. For people with this opinion the use of transgenics isn’t just science, it’s diluting the purity of mother nature, which is why it feels so wrong. You can hate Monsanto. You can hate the looming corporate world order. You can disapprove of the FDA and other safety promoting agencies in their failure to perform their appropriate duties. You can care deeply about the plight of the world’s working poor, but none of these are arguments for or against GMO’s per se, even though their use touches on the pulse of all of these issues. I’ve never seen the sustainable farming practices espoused by locavores to be in conflict with the use of GMO’s. The world’s a big place and probably has enough room for both to spread a great deal and have good effect on the world. Insisting that only one method can be the way and seeking to marginalize other alternatives is counter productive and needlessly divisive. (Sustainable farming is great, by the way). In my opinion the two are complimentary since the biggest problem with small scale farming is that it……doesn’t scale. The world isn’t going to turn the clock back to 1850 where we all grow our own food and the global population isn’t going to curb anytime in the next few decades. Technologies that allow crops to be grown with less pesticide, higher yields and better attributes need to be embraced and not shunned, even if they rile our intuitions about agrarian purity. Also, GMOs do more to contribute to world hunger when Monsanto are suing small farmers completely into bankruptcy because Monsanto’s seeds have taken hold on their farms, little to their fault let alone desire.